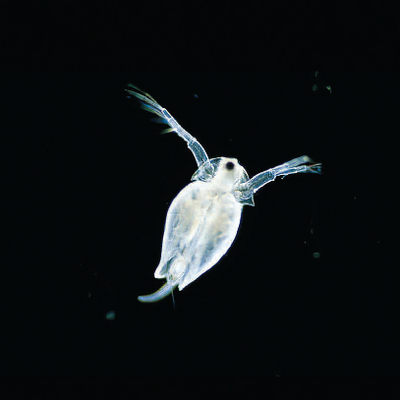 Daphnia are a widely studied small crustacean used for a number of physiology studies including the effects of drugs on heartbeat and temperature on metabolism. 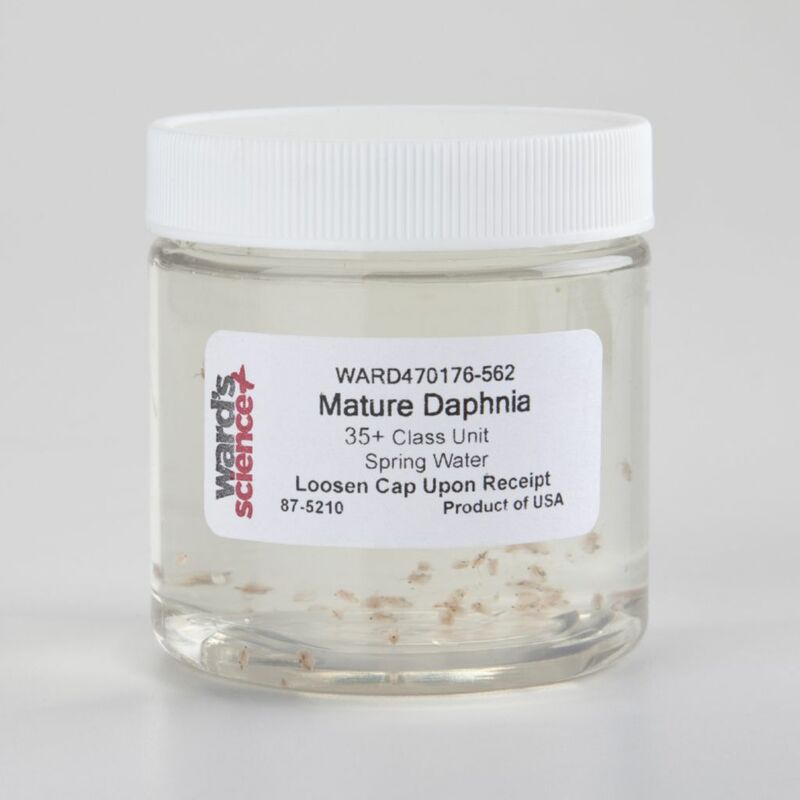 Daphnia magna belong to the order Cladocera. 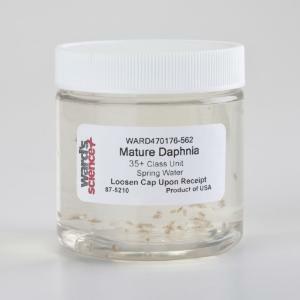 Can be kept for short periods of time at room temperature, with the cap loosened. Use only dechlorinated tap water or spring water.